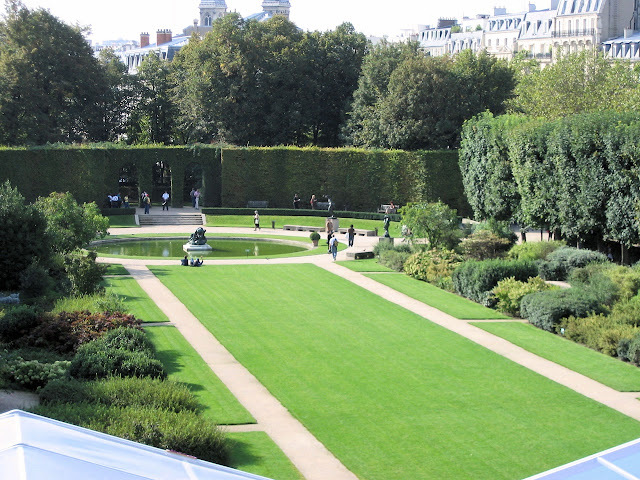 There are so many wonderful things to see and do in Paris that it can be a bit overwhelming. And with museums like The Louvre and the Musee d'Orsay to wander through, it's easy to forget about some of the smaller museums. The Rodin Museum is one that could easily be overlooked but should be on the 'must see' list of all art loving travelers. 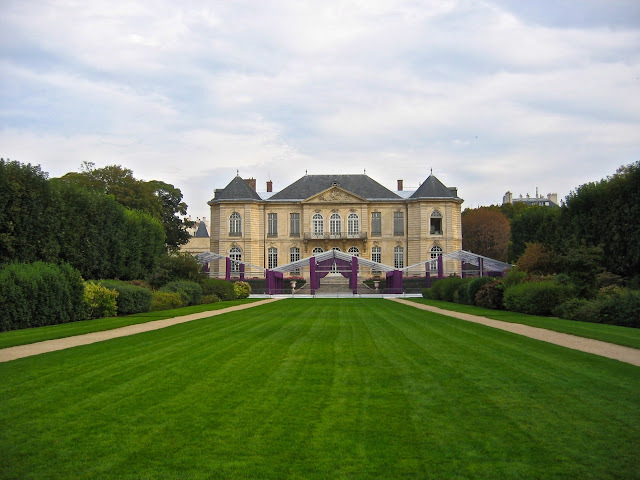 The Museum is located in one of the two homes belonging to Rodin. His homes were given to the French government upon his death as long as they were turned into a museums to showcase his works. His home in Paris is a beautiful mansion with one of the prettiest gardens I've ever seen. 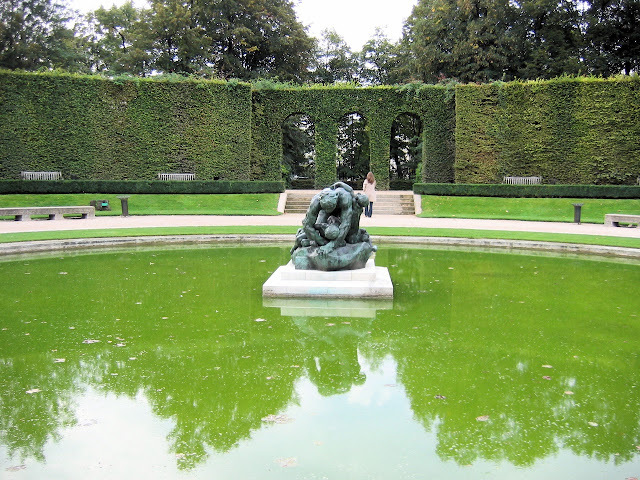 And those gardens are full of Rodin's sculptures like this one in the center of the reflecting pool. It is called Ugulino and His Children. 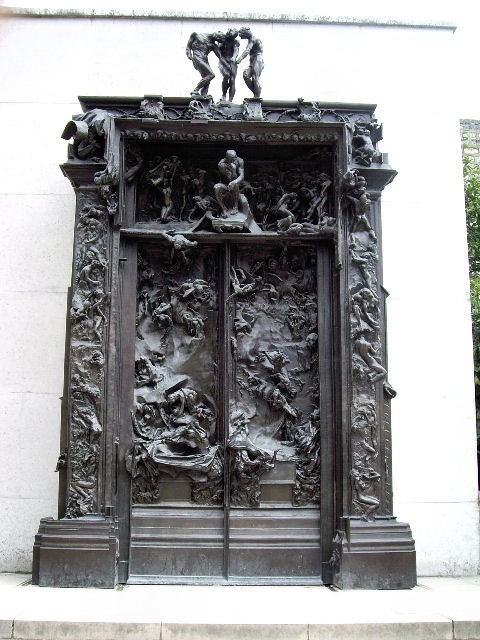 All of his most famous pieces can be seen throughout the gardens including The Burghers of Calais above and The Gates of Hell to the left. 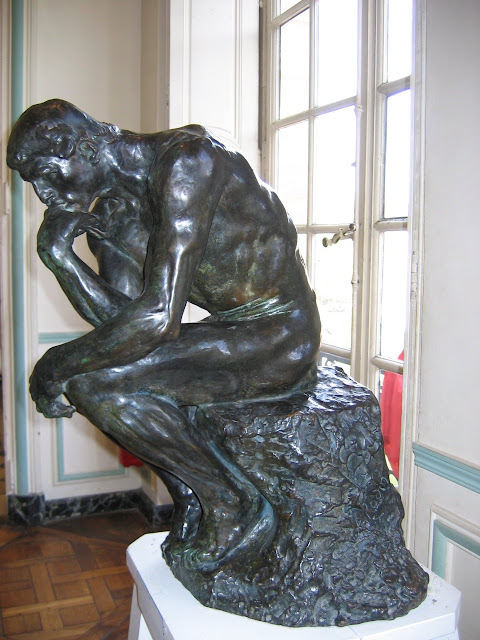 There are two versions of his most famous piece, The Thinker. One is located in the garden surrounded by beautifully sculpted trees. The other one is inside the museum and gives the viewer a close-up look at this amazing sculpture. 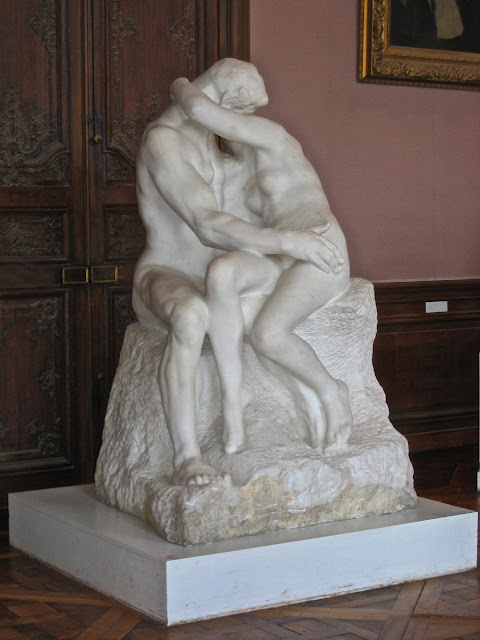 Inside you will also find the sculpture, The Kiss. 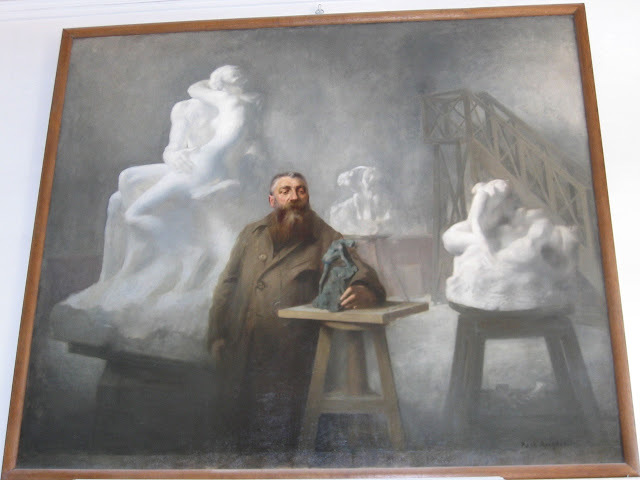 I enjoyed seeing this large scale painting of Rodin by the artist Rene Avigdor. It shows the famous man at work in his studio. The Rodin Museum is a place where you can enjoy the work of a great man and also enjoy the beautiful home where all that creativity took place. 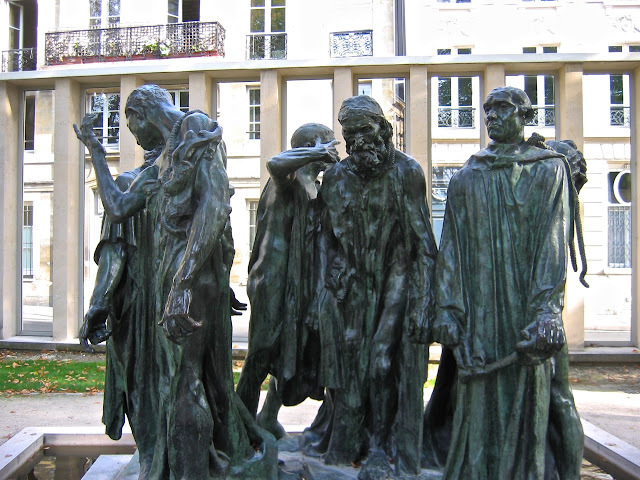 I like the sculptures of Rodin very much, nice pictures. Oh, we were there in 2007 and I've got some pictures which look identical to yours that are up on my Paris blog. What great fun. That was a favorite museum of ours. 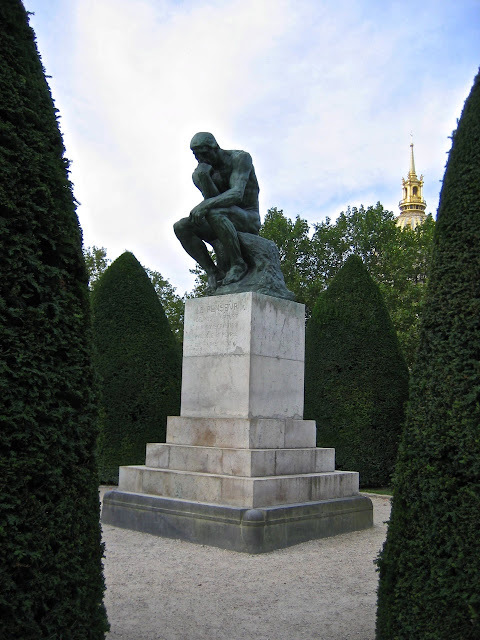 Rodin did some fantastic work. I would love to visit this! Beautiful shots! I follow your Daily Photo and just went to the Wrigley mansion for lunch thanks to your post. I have a question about art classes in Scottsdale can I send you a private note? One of my favotite museums, I should revisit it, it has been so long that I haven't been there... thanks for your nice pictures which bring memories. Marianne, yes please send your question. I'm not sure I'll have the answer but I'll try. My email is my bio.